Happy New Year! Let me be the first to welcome you to 2018. Now that the New Year is here, I will be switching things up a little on the blog. Each month will focus on a general theme. This month being the start of the new year will focus on essentials, and anew! 2018 is here, hence it’s time to step up your style game. Today’s outfit is all about adding interest to your look of the day by introducing dramatic colors and details to your wardrobe (tune in on Wednesday as I introduce you to 5 pieces you will need to build a stylish wardrobe in 2018). Most people opt for dark colors during the winter. 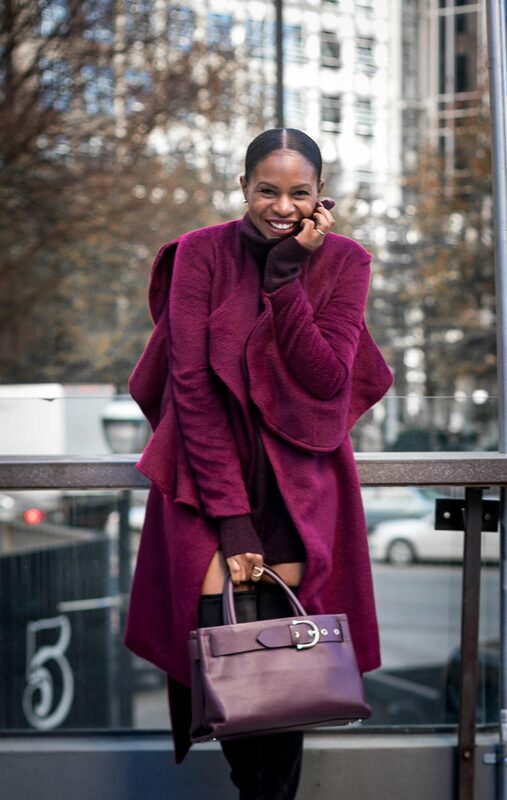 Burgundy is the color you need to wear this new year. The color burgundy is a great alternative to black, grey, and brown. The rich hue adds interest to your look because it is not too bright, however the color is rich, and vibrant. The beauty of the color is shown in this monochromatic outfit. The various shades of the hue paired are absolutely stunning, and make for an amazing outfit of the day. 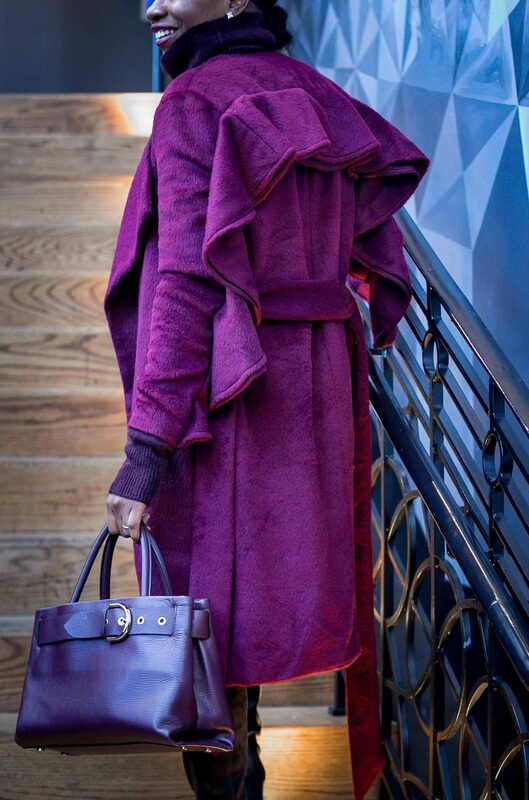 A great coat is necessary right now, hence the perfect color is not enough to deem your coat a must-have item. Coats with details like ruffles transform your coat from good to fabulous. If you want to be stylish and make heads turn in 2018 add this stylish coat to your wardrobe. 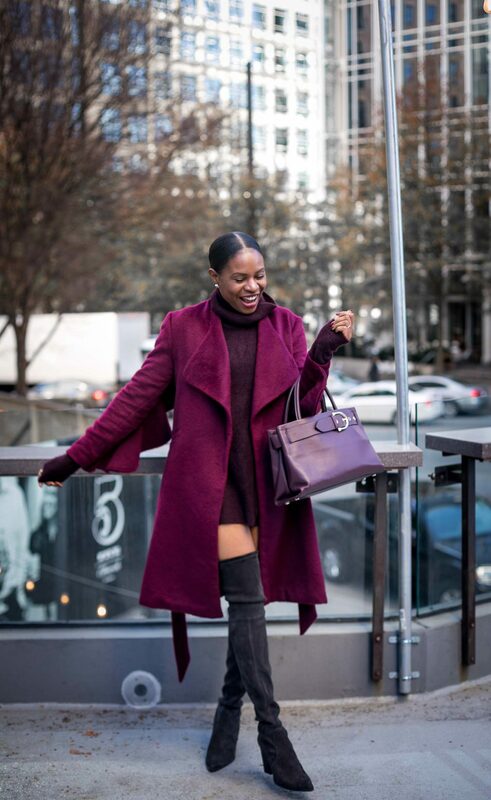 To make this outfit really standout, I paired the burgundy coat with pieces in the same color way. 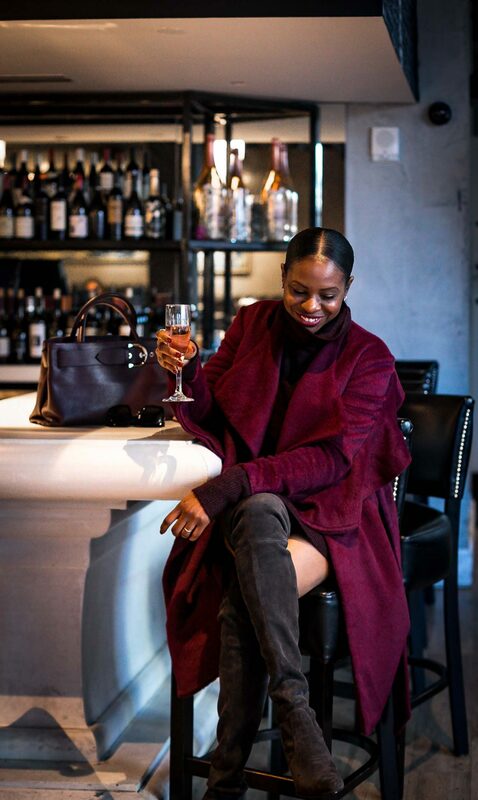 A turtleneck sweater dress, and tote create the perfect monochromatic outfit. The various shades of the hue paired are absolutely stunning, and make for an amazing outfit of the day. I completed the look with the introduction of a pair of grey OTK boots. Grey is the ultimate complimentary color hence does a great job of blending into the look, making this outfit the perfect look to start the new year in.